"Thanks for showing us the new website yesterday. I was thrilled to say the least. 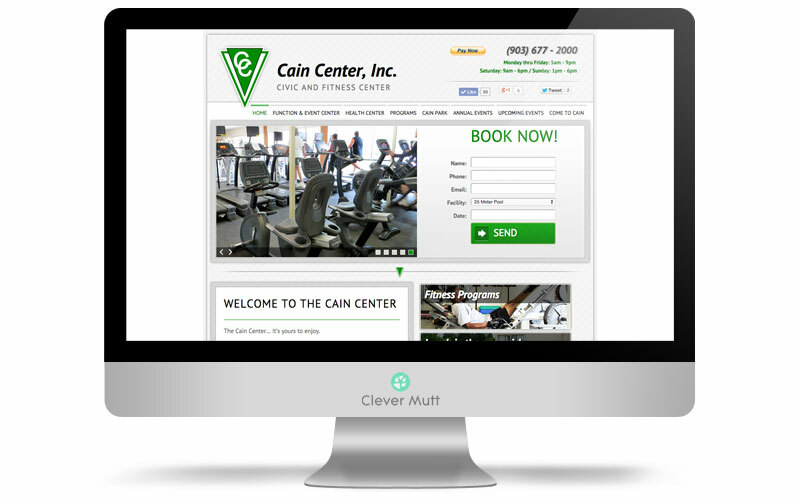 We will be very proud to now send people to our website whereas before we have pretty much avoided it." 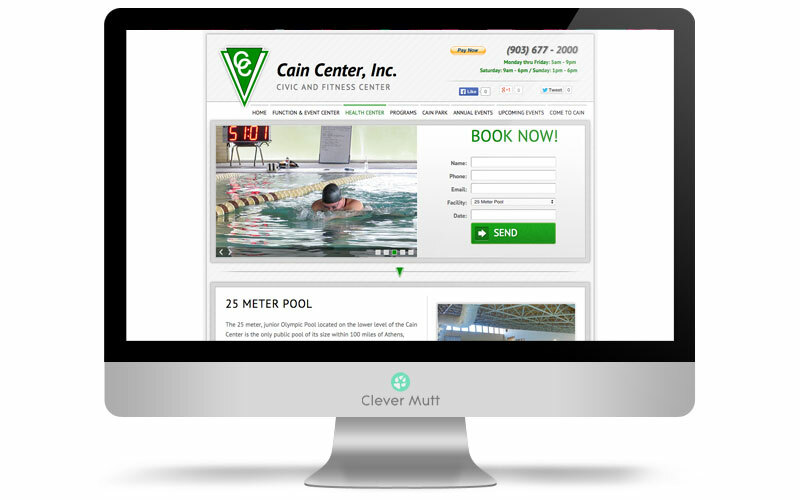 The Cain Center hired Clever Mutt™ to create a fresh website that could be self-managed through the Clever Mutt™ Portal web CMS, on-site commercial photography, email newsletter marketing with Clever Mutt™ Mail, PayPal integration & more. 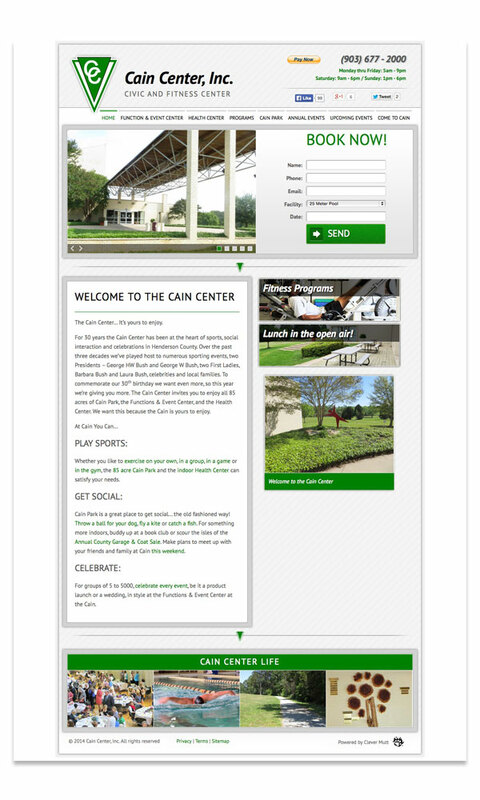 For 30 years the Cain Center has been at the heart of sports, social interaction and celebrations in Henderson County. Over the past three decades we've played host to numerous sporting events, two Presidents - George HW Bush and George W Bush, two First Ladies, Barbara Bush and Laura Bush, celebrities and local families.